Vice President Mahamudu Bawumia has pledged government’s commitment to deal with the factors that led to floods and deaths in some communities in the Upper West and East regions. According to Dr Bawumia, President Nana Addo Dankwa Akufo-Addo is paying keen attention to the matter, and that government is holding consultations to fast track the construction of a multi-purpose dam at Pwalugu and Juala, a project which was drawn up during the erstwhile Kufuor administration. Dr Bawumia explained that the Pwalugu project would not only control flooding, but would also help enhance agriculture production through irrigation and also help generate electricity to meet the growing national demand. “I can assure you that we are very interested in making sure that this project sees the light of day”, Dr Bawumia indicated when he led a government delegation to hand over assorted emergency relief items to the victims of the flooding. 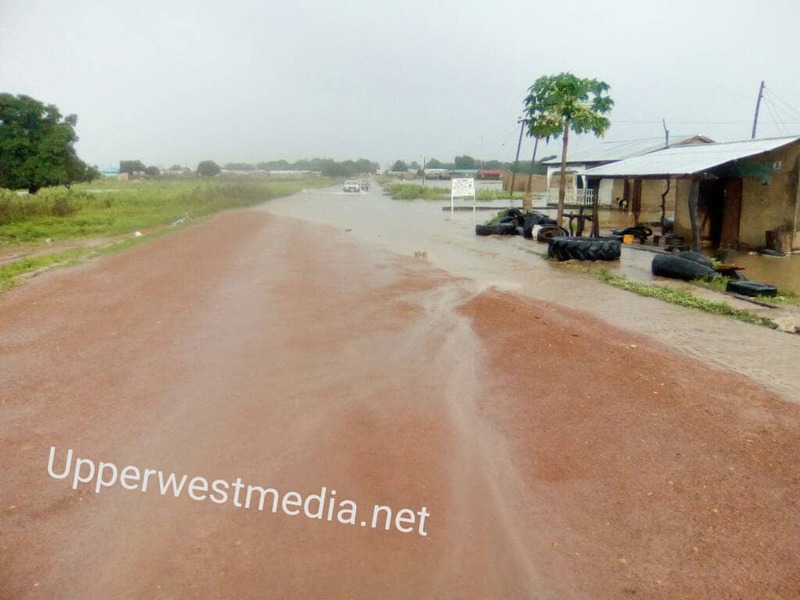 Affected communities include Mangu, Kambali and Kunbiehi in the Wa Municipality of the Upper West region; Wallemballe in the Sissala East District; Siniesi in the Builsa North district; Kologo in the Kassena Nankana East District; and Winkogo in the Talensi district, all in the Upper East Region. Accompanied by the Minister for the Interior who is also MP for Nandom, Ambrose Dery; Minister for Defence and MP for Bimbilla, Dominic Nitiwul; Minister for Aviation and MP for Navrongo Central, Joseph Adda, the Director General of the National Disaster Management Organisation, Eric Nana Agyemang-Prempeh, and other officials, Vice President Bawumia inspected the damage and commiserated with the victims. The Vice President yesterday visited areas affected by the floods in the Northern region. September 24, 2018 in Local News.